Celebrities who have accepted Jesus Christ as their Lord and Savior give him the glory of their success in their careers. Among mainstream celebrities, there are those who live as evangelical Christians. They are not ashamed of Christ and speak freely of him at every opportunity. Some have written best-selling Christian themed books and others have endeavored to bring the gospel to others. Here are just a few who have achieved fame and popularity and shared their thoughts as believers. 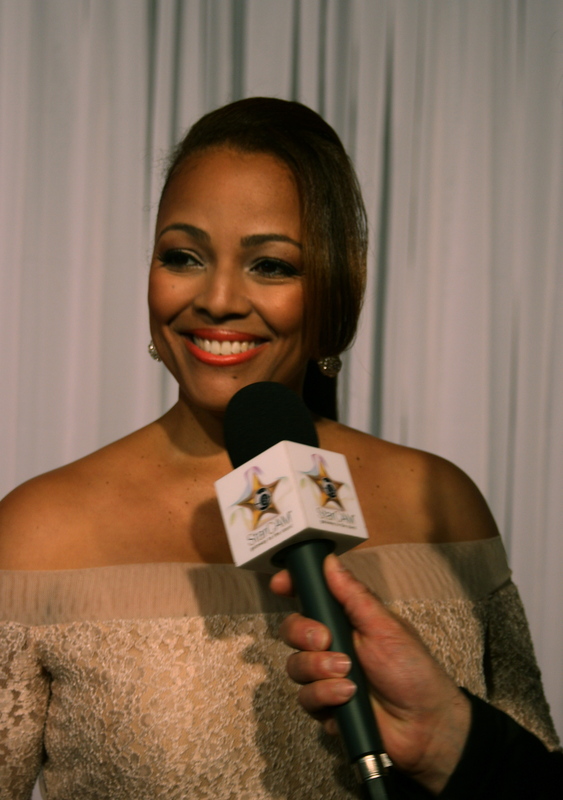 Many of us remember actress Kim Fields as Tootie from the 1980s TV sitcom Facts of Life or as Regine in the 1990s Living Single, she also a wife and mom. The veteran actress, TV personality, and star shares her life stories in her latest book BLESSED LIFE: My Surprising Journey of Joy, Tears, and Tales from Harlem to Hollywood published in 2017. He’s a New York Times bestselling author and people around the world recognize him as a movie star and martial arts expert. Chuck Norris is the only man to hold an eighth degree Black Belt Grand Master in Tae Kwon Do in the Western Hemisphere. He plays the hero in Walker, Texas Ranger, the longest running CBS series to date. But he is also a Christian and credits his faith in everything he does. He wrote several Christian based books including Against All Odds, his inspiring story of how he overcame adversity giving God all the glory for where he is today. He speaks of his faith whenever there’s an opportunity. Norris gave his life to the Lord when was 12 years old at a Billy Graham crusade event. 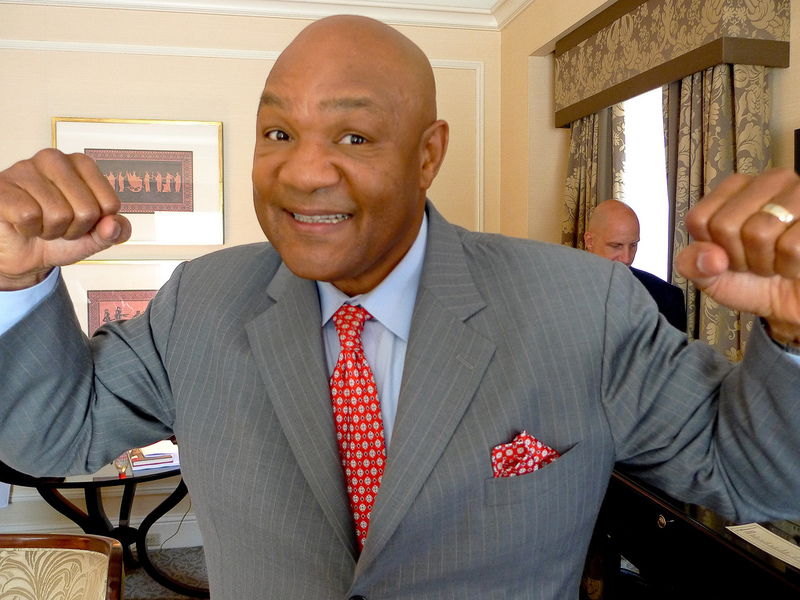 “It’s amazing because people come up to me and say, ‘Chuck, you’re the luckiest guy in the world to be a world karate champion and a movie and TV star.’ When they say this to me, I kind of smile because luck had nothing to do with it; God had everything to do with it,” – from his interview with CBN’s The 700 Club. 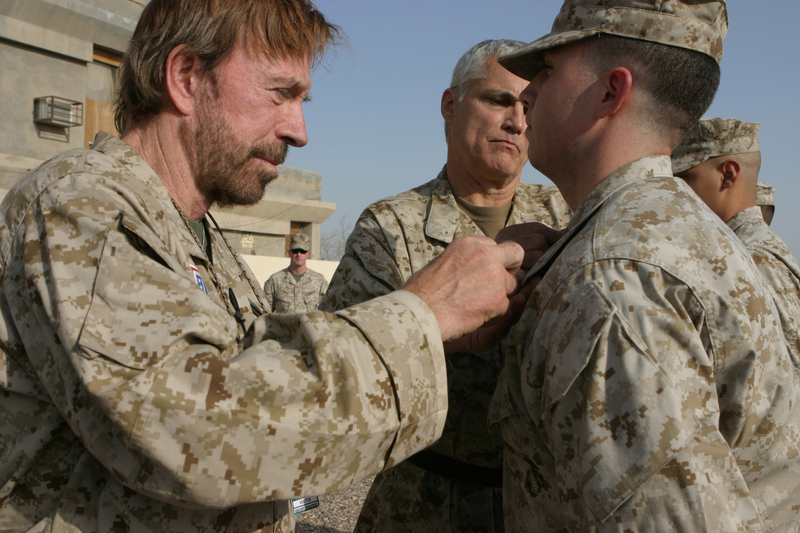 Actor Chuck Norris places corporal chevrons on U.S. Marine Corps Cpl. John Wright during a promotion ceremony at Camp Taqaddum in the Al Anbar province of Iraq Nov. 2, 2006. Norris is in Iraq on a United Service Organizations (USO) tour. Born again celebrities are often ostracized from working in their field. 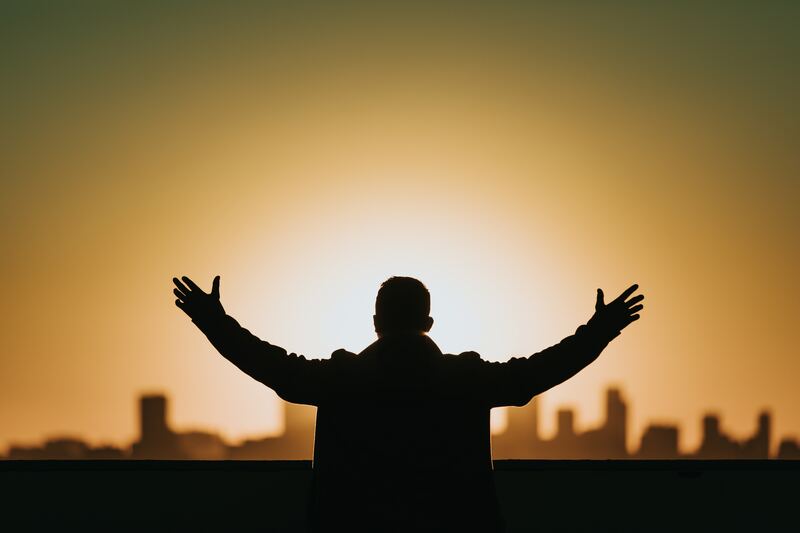 Many remain quiet worshippers, but others, like the ones mentioned here, have proclaimed their faith and use their celebrity status to spread the Gospel and create awareness of Christian causes. God has blessed them in achieving success in their careers and they choose to give back to the Lord by doing his work. ==> Be inspired and read Let Hope Abound.